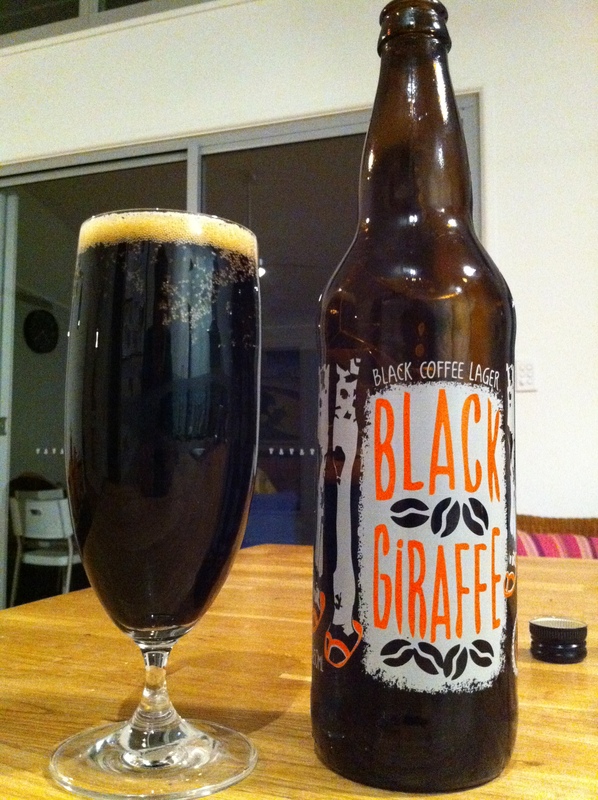 A beer that I’ve had in the fridge for some time is intriguingly named “Black Giraffe Black Coffee Lager”. 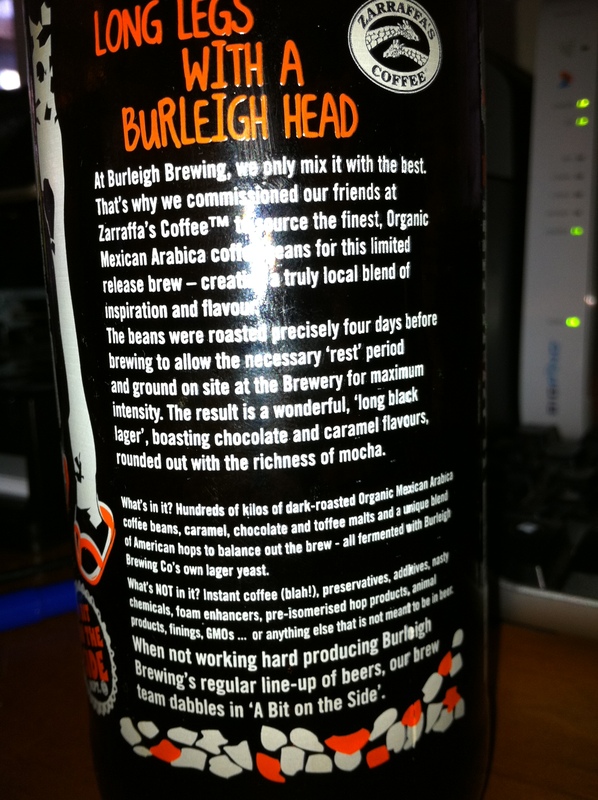 It is the second brew from the “A Bit on the Side Dept” drop from Burleigh Brewing. 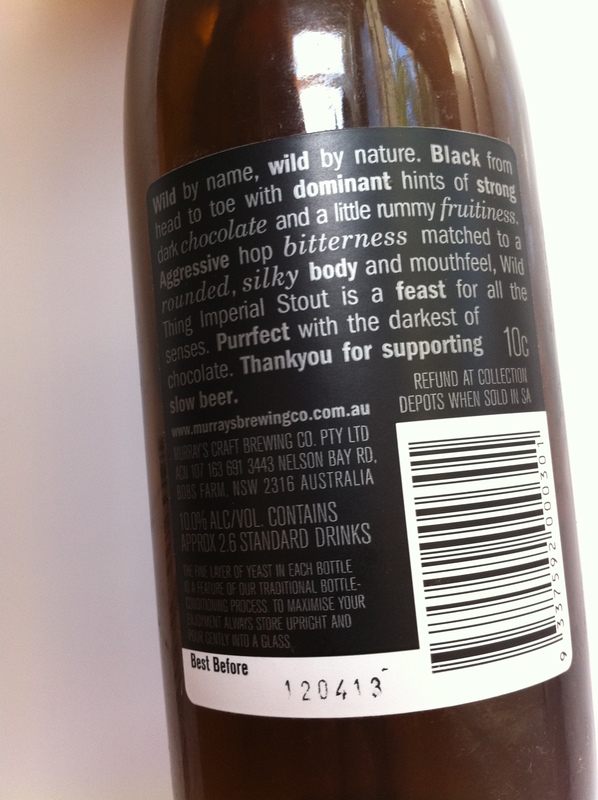 With a cold snap hitting Sydney, a rich black beer seemed like just the thing. It is made with serious amounts of coffee that come from a Gold Coast based coffee company called Zarraffa’s. The name Zarraffa is derived from an Arabic word meaning Giraffe. The beer’s aroma is really very exotic. There’s the chocolate of a fine porter, mixed with the mocha of ground coffee beans. The beer pours very black, with a tan foamy head. The taste is full and rich, and tastes stronger than the 5% alcohol content that it is purported to be. I shared it around the lads watching the Swans v St. Kilda (carn the Swans) and the unanimous view was that the Black Giraffe is a winner. I’d drink it with anything, but a fine black chocolate would be particularly fine. Tough to get hold of, but very well worth it. Take it slow and enjoy. 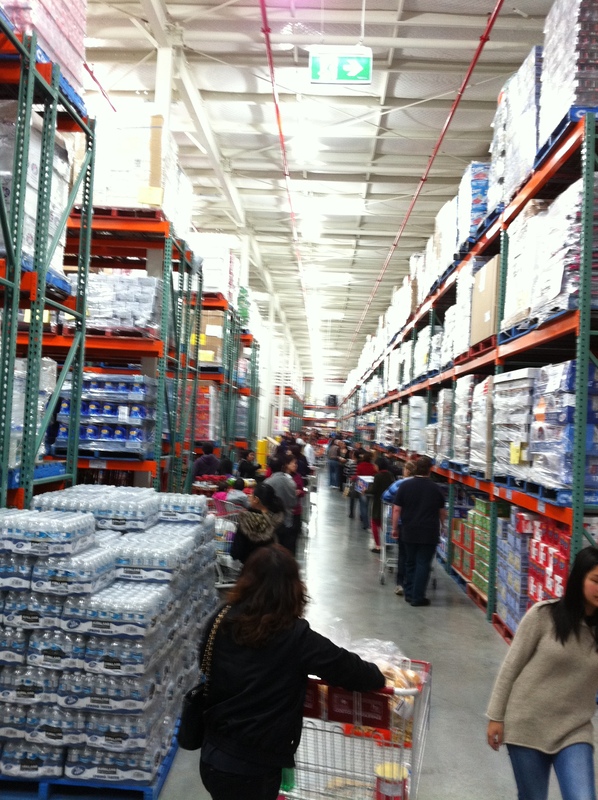 On a trip to the US a few years back, I visited Costco. It was a remarkable experience and the grog options were extensive (just like any US supermarket, quite frankly). I visited the new Sydney Costco and can advise that Costco’s beer range makes the bottlos attached to many Sydney pubs look like purveyors of variety. So save your time and your money and stick to local options. 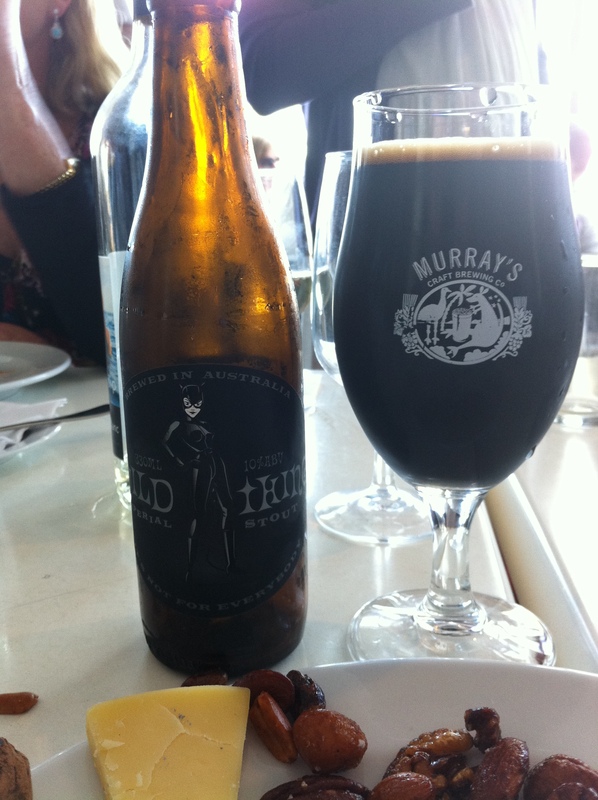 Another superb black brew is Murray’s Wild Thing Imperial Stout. I’ve been fortunate enough to try this both on tap and in the bottle. This is a turbo-charged black, black beauty. There’s a rich fruit-cake feel to this and whilst the flavours are robust, there is a smoothness to the feel in the mouth. Like all Russian Imperial Stouts, this is big in alcohol at 10%. Don’t let that put you off. You won’t drink this quick.Murray’s announced there’s none of this left in a bottle. If you see it get it.